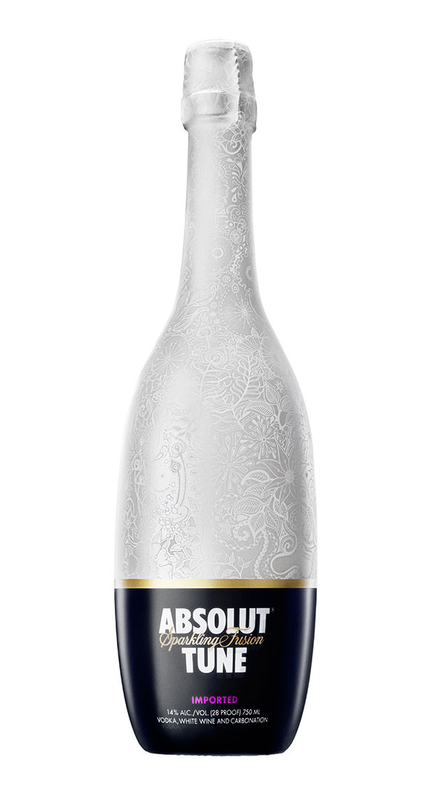 Today we want to show interesting packaging design from Absolut. 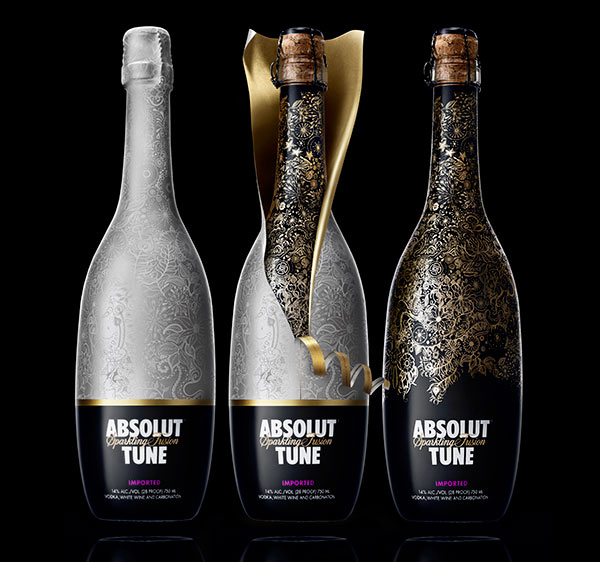 Absolut Tune is a sparkling fusion of Absolut vodka and crisp white wine. 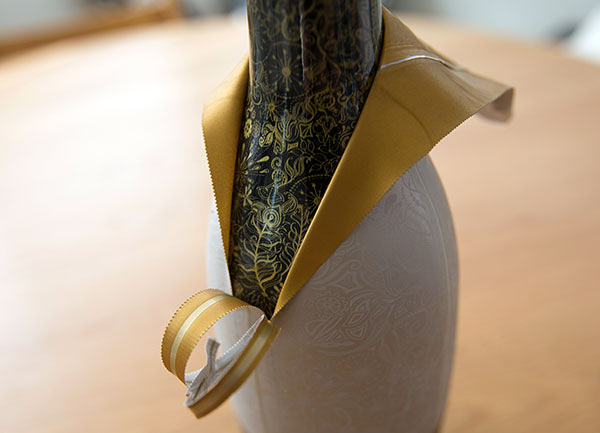 This champagne like bottle has a very Tord Boontje-esque double layered, flowery pattern to it. 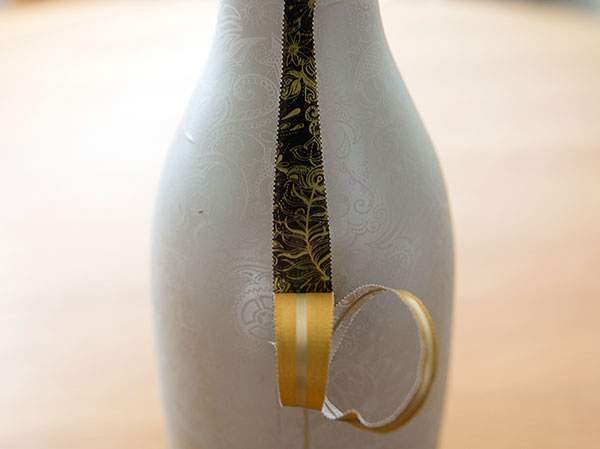 The caged cork glass bottle has two layers of plastic on it – one with a gold on blue, and the top layer with a matte/pearly white lined with gold that peels back ever so dramatically. Have fun! 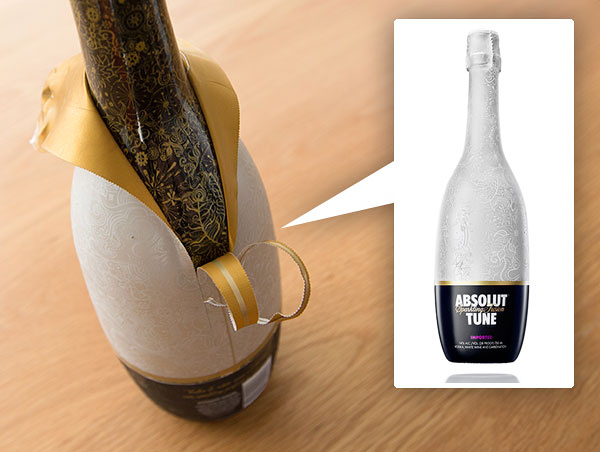 The packaging is so enchanting! 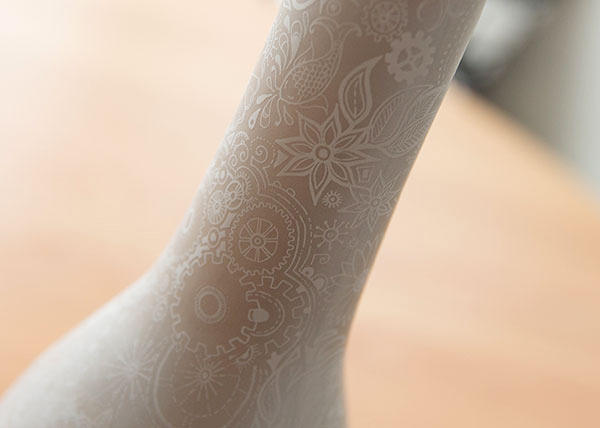 I love its neatness and elegance. 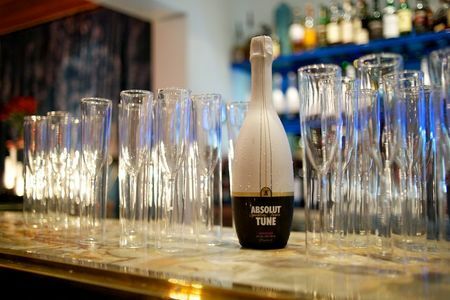 It really gives me the interest to buy one so soon.